When a bone breaks, there is a chance that a small piece will displace itself a significant distance away from its original position. As the severity of the fracture increases, so does the risk of dislocation. Close proximity to a joint is also correlated with high incidence of dislocated fractures. In some cases, the dislocated section may become lodged in another functioning area of the joint thus necessitating surgical removal. These types of complex fractures also have a much longer recovery time and higher risk of permanent stiffness or disability than uncomplicated fractures or dislocations. 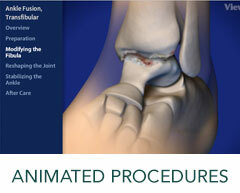 To learn more about our Fracture and Dislocation Services, please contact us today to schedule an appointment!